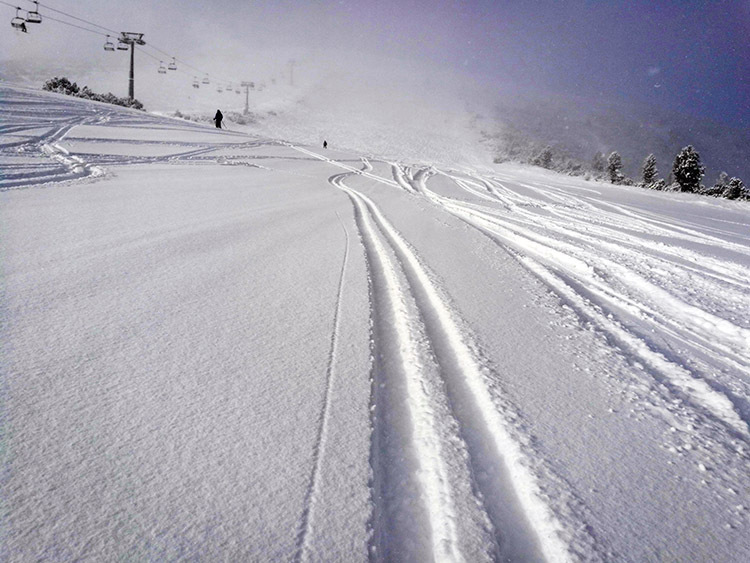 One of the main reasons many people keep coming back to Bansko is the powder skiing. 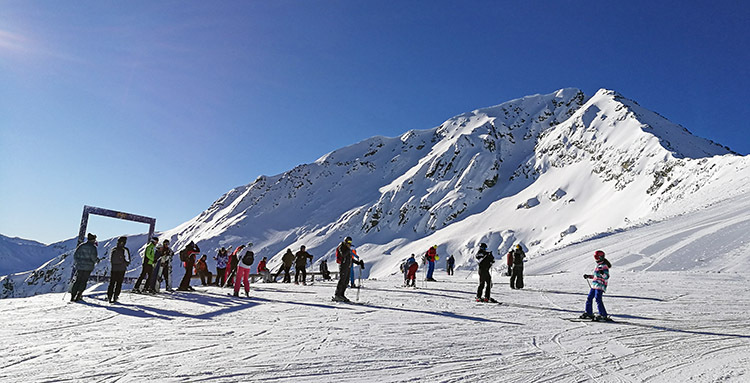 When conditions are good, Bansko has some of the best lift-accessible off-piste terrains in Bulgaria. Whether you’re an intermediate skier who wants to try powder skiing or an expert in need of some big open faces, there is something for everyone. But be warned, many of the couloirs have a high risk of avalanches and people have died from avalanches in the past. It’s always good to have comprehensive knowledge of avalanche safety and knowing the terrain. We strongly advise getting a guide if you want to get the most out of your day in the safest manner. The trick to skiing powder is being in the right place at the right time. Even in resorts like La Grave (an infamous French ski resort, with no groomed slopes), if the snow conditions aren’t any good and it hasn’t snowed in two weeks, you’ll be disappointed. But if you happen to catch a snowstorm, then you’re set for some of the best skiing you can imagine. So when’s the best bet to come to Bansko? If you want to have the best chances for good freeriding conditions, you should be looking at March. If you want guaranteed powder skiing, you’ll have to be ready to go at the last minute, once the forecast is showing favorable conditions. Leaving everything for the last minute will make your trip more expensive, but will drastically increase your chance of skiing some good powder. If you’re into ski touring, then end of March, the beginning of April is also a good time to come as there is much terrain outside of the ski area that is perfect that time of the year. Before starting to learn to ski off-piste, you must be able to ski on the pistes. If you can’t do a decent carving turn or don’t feel like you have the equipment to go out of bounds, then just don’t do it. But if you’re confident in your abilities or have skied powder a few times before, there’s plenty of terrains to practice and improve on. The easiest place to ski powder is on the slopes themselves, however strange that might sound. Normally, when it’s been snowing all night, not all slopes are groomed by the morning and have a fresh layer of powder on them. These are superb conditions for people skiing in soft snow for the first time, as the base (the slope) is flat, there are no trees in which to crash into and you won’t get lost. The downside is that these conditions last for only about the first two runs, after which the slopes turn to moguls. If you’re up early enough, you might get to do a run or two with fresh powder on the slopes. The next step for aspiring freeriders is to ski just within the limits of the ski area and on the sides of the slopes. In Bansko, a good place to start is skiing under the line of the ski lifts, as this way you can check out the slope before actually skiing it. The Todorka, Bunderitza and Shiligarnik lifts are the ones you should be looking under for nice powder lines, but these are also the first to be eaten up by powder craving locals. We don’t suggest skiing under the other lifts, as it’s just not that great of terrain. For instance, under the Mosta lift, there is a small river that you need to cross, while under the Plato lift there are many rocks and branches. Once all of the powder on the slopes and under the lifts has been skied, it’s time to move towards the woods. 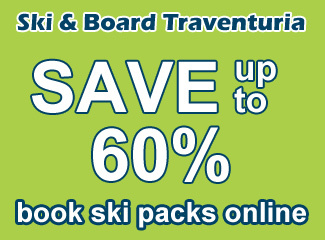 So you’ve got freeride specific skis/snowboard and have skied powder a few times in the past. You have no problem skiing off-piste with your own tempo, but don’t have the confidence to go and hit the big boy lines. If you’re new to Bansko, you also won’t know where each forest and gully leads, so the best bet for you is to stick to the safer areas, inside the edges of the outer slopes or within sight of the ski area. 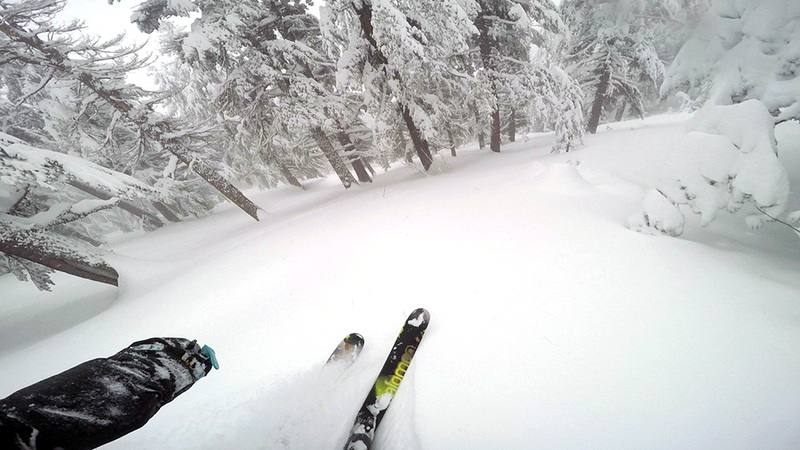 The safest place to go is the skier’s right side of the Plato ski runs. This is a big, open area that isn’t too steep, with a direct line of sight to the ski slopes. The most important thing to remember here is to not ski too far to the right, as you will end up in the valley that leads towards the Damianica hut. And if you do end up in such a situation you’ll only have 3 options: push forwards towards the hut (which you can see on the ski map), but there is the risk of getting stuck in difficult terrain or completely lost; call the mountain rescue teams to come and save you (this will cost you money if you don’t have extra insurance, as the insurance included in the lift pass covers accidents on the slopes ONLY); or you can walk back up (depending on the conditions this can be close to impossible). The same can be said for the skier’s right of the N.10 Shiligarnika slope. It’s nice and easy powder skiing, but if you don’t turn left and return to the slope on time you’ll end up in the gullies that lead towards Damianica. These couloirs are extremely prone to avalanches and there is almost no cell phone reception in the area. To the right of the N.10 there are signs to point you back towards the resort. Crossing these directly leads to the couloirs. Another favorite of beginners is the beginning of the Tomba ski run, which is almost never groomed. This is the red part of the slope and goes from the Bunderitsa lift mid-way station to the alpine bar Tomba. A less known area is the woods to the skier’s right of the last 1/3rd of the N.4 Balkaniada slope. There are plenty of other places to ski powder, but these are your best choices on a powder day. You won’t have time to ski it all in one day anyway before the other skiers rip it up. 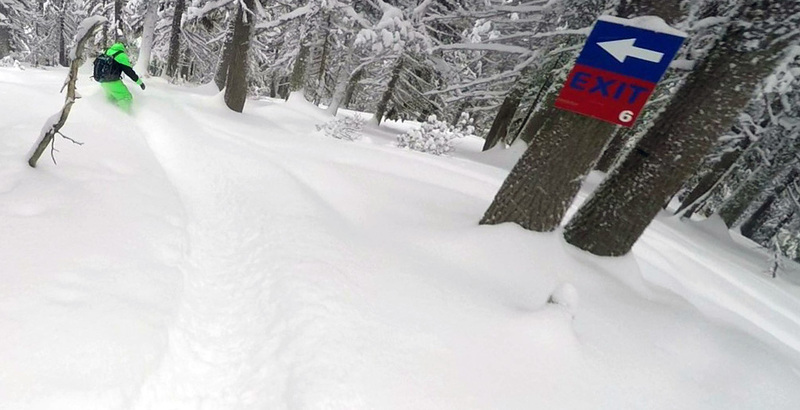 Now we get to the good stuff, the hardest and most fun places to ski in Bansko. 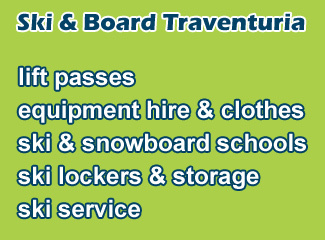 The following areas are only for expert skiers with the proper safety knowledge and equipment, seriously! The key to staying safe in the backcountry is knowing your own limits and any misjudgment can have even fatal consequences. If you’re new to the resort, then getting a guide is the best thing you can do. These terrains are extremely prone to avalanches in certain conditions, especially just after a snowstorm. Picking when to ski these slopes is just as important as having the skills required to ski down in one piece. Mt. Todorka, situated just above the ski area. The most emblematic freeride spot in Bansko has to be the north face of Mt. Todorka. This is the terrain you can see even from the town, just below the peak of the mountain. To get there you need to take the lifts to the highest station and from there it’s about an hour to hike up. Hiking up can often times be harder than skiing down, as the path is very narrow and you’ll find yourself literally rock climbing at some spots. Falling is not an option, as it’s a long way down the steep sides of the slope and having a backpack to which you can attach your skis/snowboard is a must. Once you get to the top you have a lot of options on where to ski. You can ski down the north side and back towards the Plato ski run, you can also go west towards the Vihren hut, or southwards and reach the Damianica hut. There have been many freeride competitions held on the north side, including a qualifier to the Freeride World Tour. 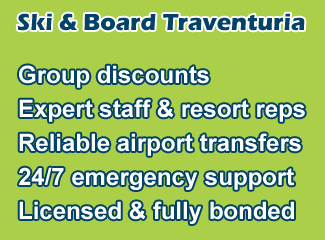 If skiing down Todorka is on your bucket list, then the best time to come is around the end of March. The view from Mt. Todorka, opposite the ski resort. Another favorite place is the Bunderishki couloirs, which are located to the skier’s left of the N.2 Bunderica ski run. These lead down the side of the mountain in the direction of the Vihren hut and finish at the summer car road to the hut. There are may lines down this part of the mountain, some of which can lead you to very big drops. Navigating these gullies can be tricky and hiring a guide is the best option if it’s your first time. This is also where most avalanche-related deaths occur in Bansko. “The Cup” is a freeride area in the middle of the resort. It’s the huge bowl between the N.3 and N.4 ski runs and connects with the slopes on the N.5 Shiligarnika ski run. Entering the bowl is the riskiest part, as often the conditions are perfect for an avalanche, but getting out can also be difficult if the snow hasn’t covered the mountain pine trees. If you’re OK with earing your turns through walking, then there are many peaks in the Pirin National Park suitable for skiing/snowboarding. One option is to go to the Bezbog hut in Dobrinishte (a neighboring village of Bansko) and climb one of the many peaks there. Another option is to take part in the “Splitfest”, an annual event centered around freeriding in that area. 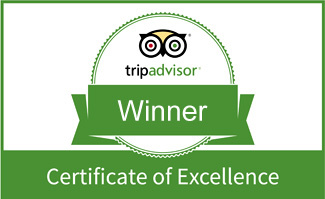 If you want to get the most out of your stay, then hiring a guide is a great idea. A trained mountain guide will know what the conditions are in terms of avalanche safety, which slopes are safe at the moment and which aren’t. But most importantly they’ll keep you from getting lost in the search for fresh powder. A good guide will also take you directly to the best skiing for your ability and will also be able to provide you with all of the necessary safety equipment.